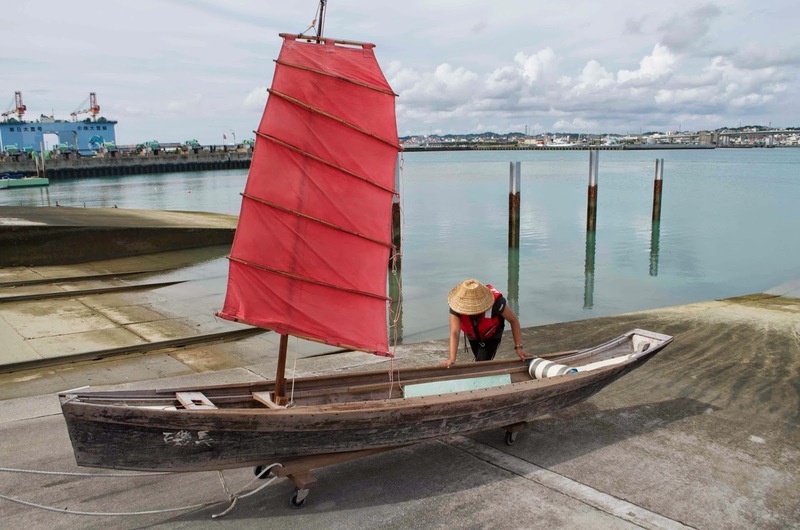 I made a brief trip to Okinawa, in order to conduct some interviews for a future article on the sabani, the traditional fishing boat of this region. I was here in 2009/2010 apprenticing with one of the last three builders of these boats (see my blog postings from those years). Sadly, he’s now 85 and I learned he was in the hospital during my visit. I had hoped to visit him but I learned he wasn’t seeing anyone other than family. 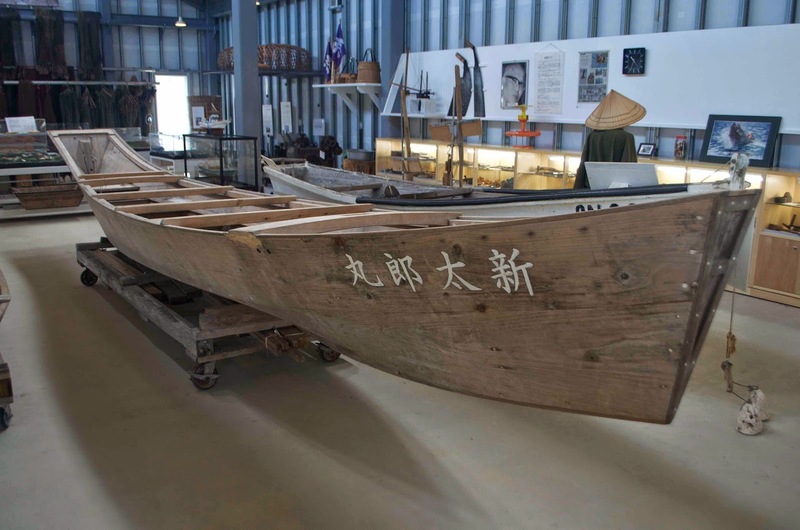 In Itoman, the largest fishing port in Okinawa, the city government funded an expansion of the fishing museum. 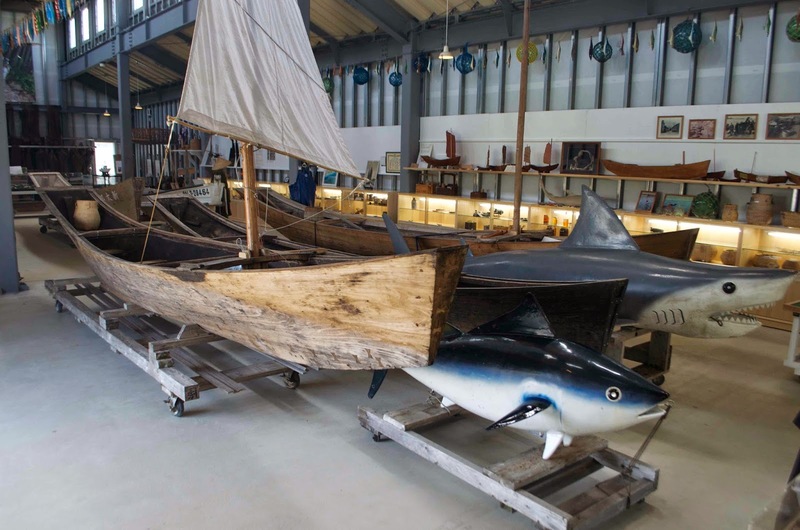 They now have a marvelous building in which to display their collection, which includes boats, fishing gear and boatbuilding tools. 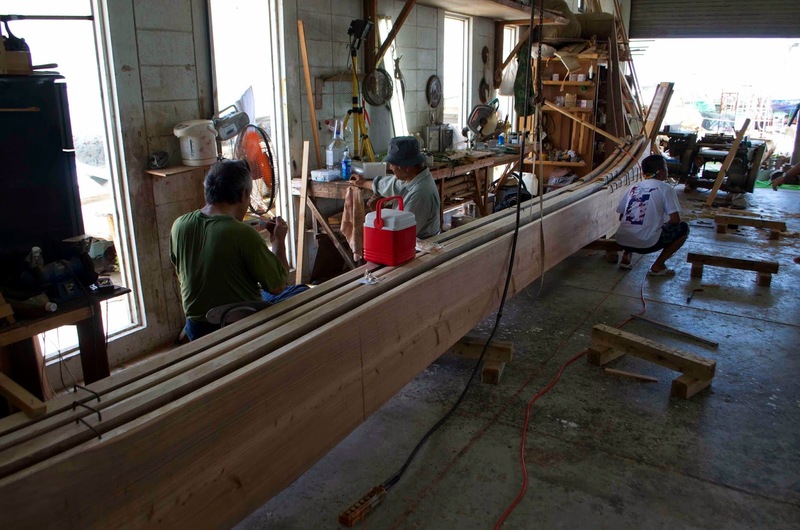 The old museum building has been converted into a working boatshop where Mr. Kiyoshi Oshiro is building sabani. He may now be the last builder of these boats, and his clients are the teams that now race these boats. 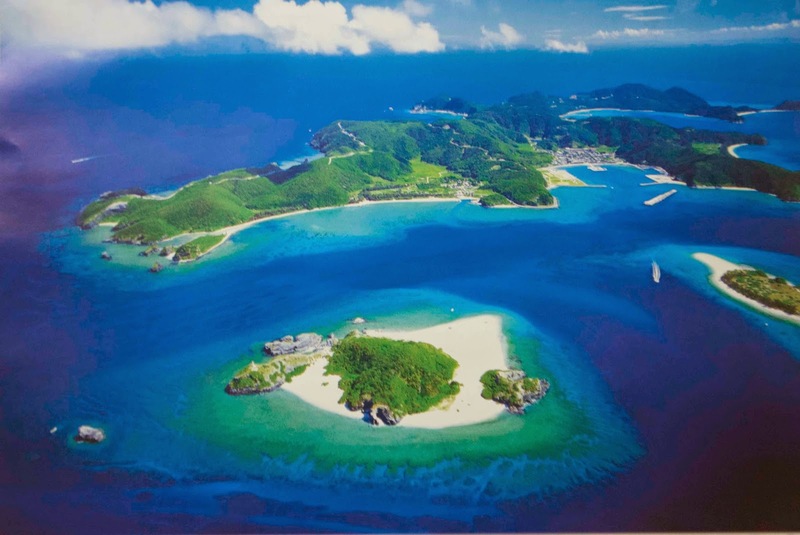 Here is a shot of Zamami Island, which lies offshore the capitol city of Naha. Zamami is where the annual sabani race starts, an open water crossing to Naha. The race is held every June and this year marked the fifteenth race. Over forty teams now participate in races throughout Okinawa. 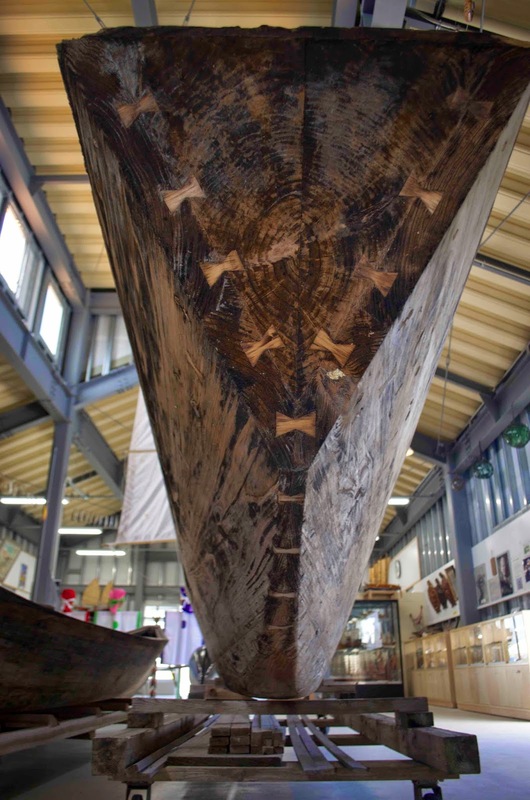 The phenomenon of the sabani race is unique in Japan: the conversion of a fishing boat into a yacht, which has spurred the preservation of boatbuilding and sailing skills. Sabani were last built for fishing around 1960, when they were replace by Japanese-style boats of wood and fiberglass. A generation passed before the early racers began ordering sabani again. Sabani are semi-dugout construction, and with very thick hulls they last a long time. 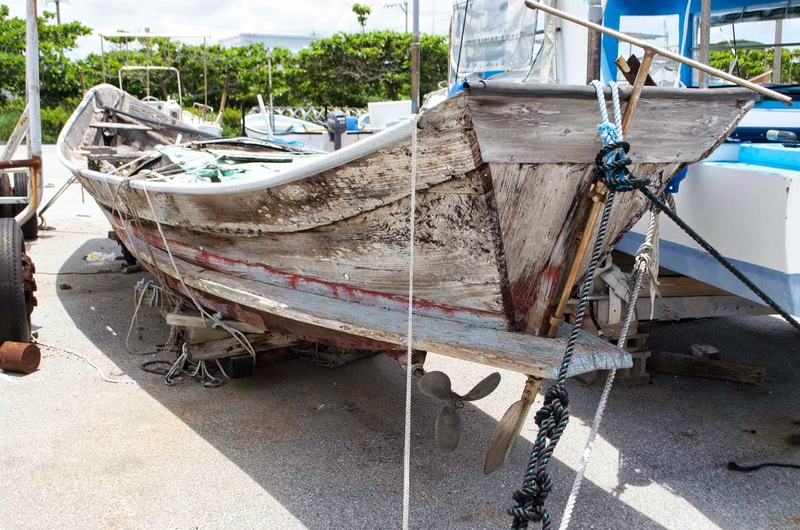 It is not hard to find old sabani lying around the harbors. 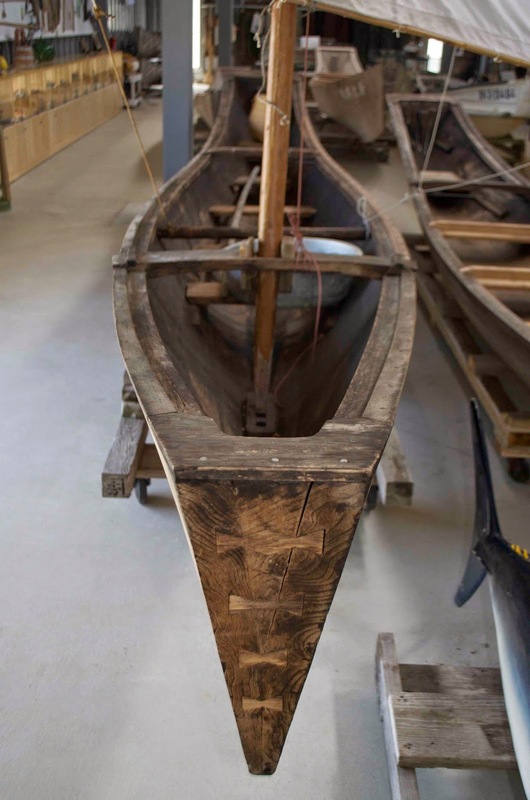 This powered sabani features wooden planing boards, necessary when marrying an engine to what had been a sail and paddle powered, narrow hull. A boat similar to the sabani is the hari. 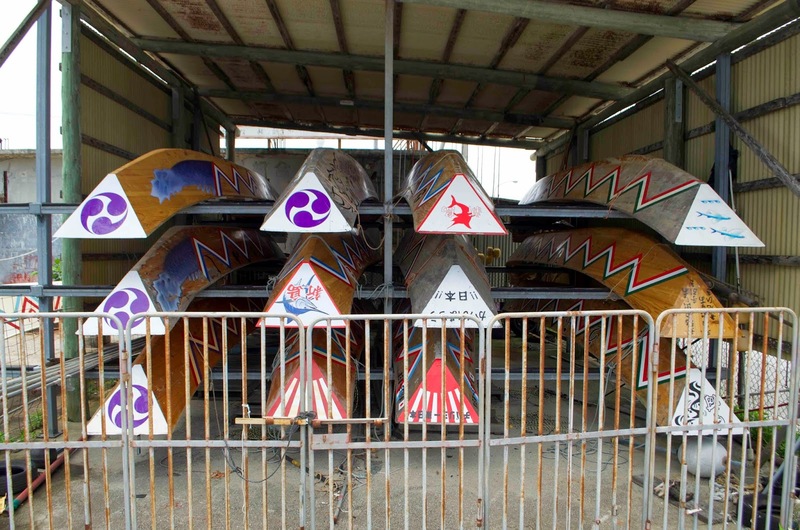 These are festival boats, and have been raced for hundreds of years on Okinawa. They are the dragon boat is this archipelago. My teacher retired after finishing the boat we built, and I heard that another builder retired. 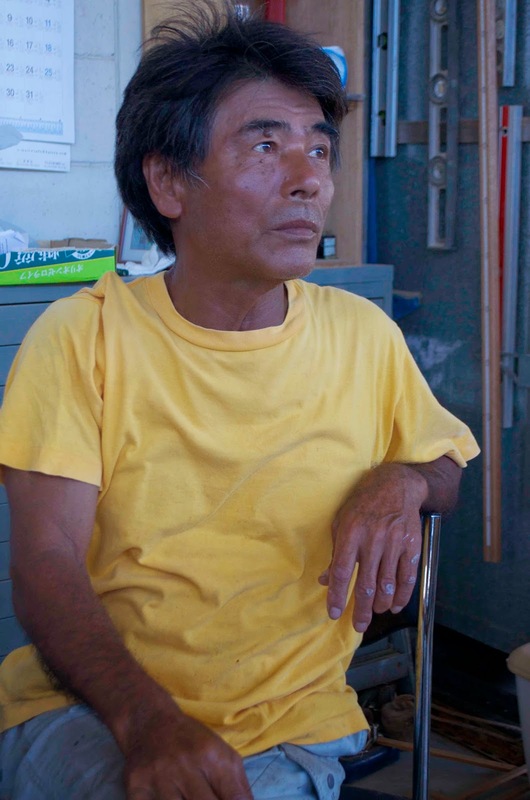 If so, then Oshiro san is the last professional builder of sabani. He told me he has orders one year in advance. 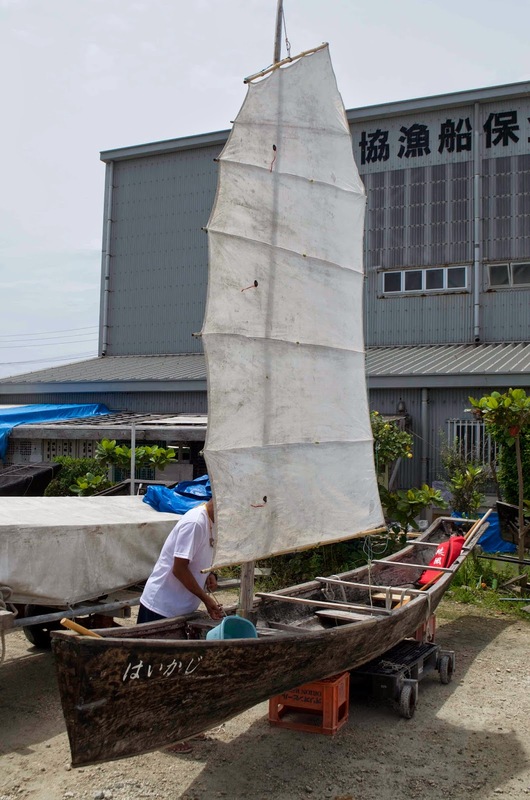 I got to sail one afternoon in a six meter sabani with its owner, Mr. Tsugaru Ryosuke, and his business partner. We had a light breeze and later the young woman went out by herself in a four meter sabani. These are smaller than boats that were ever used for fishing (the consensus seems to be the smallest fishing sabani were five meters). So this is almost like a kayak. I measured it as fourteen feet long and two feet wide. Awesome. I really would like to appreciate your effort to manage the things in most perfect way.